Pipolino provides countless benefits and helps to avoid many common problems today's pets face such as boredom, over eating, obesity, bad digestion, physical inactivity, aggression, and the ingesting of foreign bodies. NEW YORK - Dec. 12, 2018 - PRLog -- Many animals have a tendency to devour their food during mealtimes. Pets that eat rapidly are more likely to face various health issues like choking, vomiting, gastrointestinal discomfort or food bloat, to name a few. 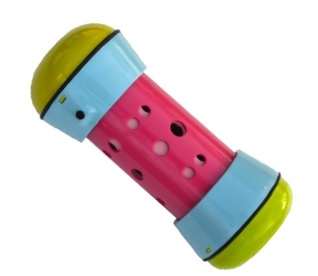 Designed by a veterinarian, Pipolino's mobile and adjustable dry food dispenser allows pets to find food as they would in nature, which promotes both physical and mental balance. Animals have the ability to roll Pipolino on the ground or in a trough in order to dispense kibble slowly and chase or "hunt" for their food. Whether a dog is eating too quickly because he's in competition mode or simply indulges too fast because he loves the taste of his food; not taking the time to chew larger pieces of kibble can cause them to ingest a significant amount of air. When this occurs, the food will most likely come back up by regurgitation or vomiting. After this happens a pet owner may feel uncertain if their dog or cat has received the adequate amount of nutrition during their meal time. Vomiting will also leave the animal hungry more frequently throughout the day, which can lead to a desire for more food and increased begging. Let's face it, most pet owners are weak when it comes to those adorable begging eyes! With 80 million U.S dogs and cats at risk from obesity, it's important that pet parents stay mindful of their pet's meal intake and avoid overfeeding. For over ten years, Pipolino has been the only way of feeding pets that combines all individual advantages, without the disadvantages of bowls, anti-glutton bowls, fixed and mobile food distributors. Pipolino is the only anti-glutton bowl that provides physical activity and slow enough ingestion that avoids over consumption, satisfies appetite and improves digestion. In fact, Pipolino is taught in French Veterinary Schools for the prevention and treatment of excess weight and digestive disorders, as well as behavioral diseases such as bulimia, obesity, dirtiness, aggressiveness, depression, inactivity. • Designed so that all the croquettes coming out are immediately eaten, don't scatter on the floor, don't get crushed and don't collect dust on the ground. Retailing for $24.90, Pipolino is affordable to all budgets. Pet families utilizing Pipolino daily will have great peace of mind knowing that they are investing in their pet's mental and physical health, as well as save money spent on pet food thanks to its decreased food consumption features. Pipolino offers a two year (parts and labor) guarantee for any defect or component breakage under normal conditions of use.